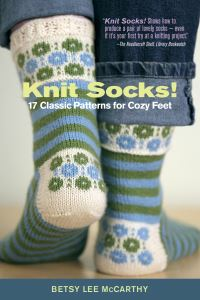 Knitters have spoken! 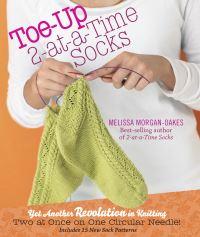 Single-skein projects are all the rage because they're portable, fun, quick to finish, and the perfect answer to that stash of orphan yarns. 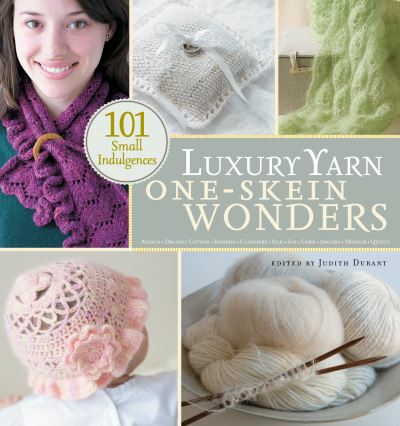 Already, Judith Durant's "One-Skein" series has delighted knitters everywhere with fabulous single-skein patterns contributed by yarn shops and noted knitwear designers.Now, "Luxury Yarn One-Skein Wonders", the third book in this popular series, brings indulgence to the one-skein concept! 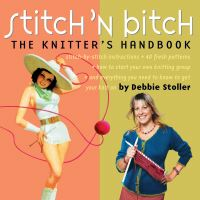 The newest one-skein patterns are the most decadent yet, featuring the most sumptuous yarns on the market - from snuggle-worthy cashmere to the lustrous alpaca to the eco-friendly soy, corn, and bamboo yarns.Contributors include designers, yarn manufacturers, and well-known knitting and crocheting teachers. 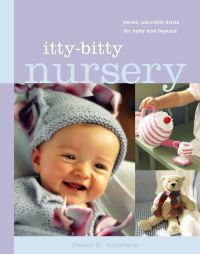 Like previous One-Skein books, "Luxury Yarn One-Skein Wonders" features two-colour illustrations throughout, as well as a full-colour photo gallery of projects.Patterns include baby items, personal accessories, toys, and garments - from an adorable baby sweater knit from merino and bamboo to beaded cashmere socks. 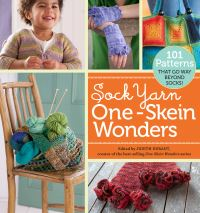 Not only are these projects fun and fast, they offer knitters a great excuse to pick up several skeins (really now, no one can buy just one!) 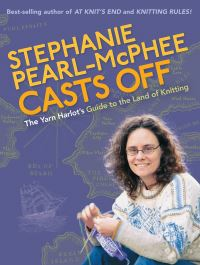 of to-die-for yarns.